This Passover, join us for a Seder experience you will remember for a life time! Chabad invites you to our Passover Seder. Experience the freedom of Passover the ways our ancestors did over 3,000 years ago. At Chabad, we offer a warm, interactive Passover Seder. The traditional texts are integrated with wisdom and spiked with Jewish humor, while the festive holiday meal is a delight for the body and nourishment for the spirit. Our Seder is English friendly, and everyone will feel welcome. 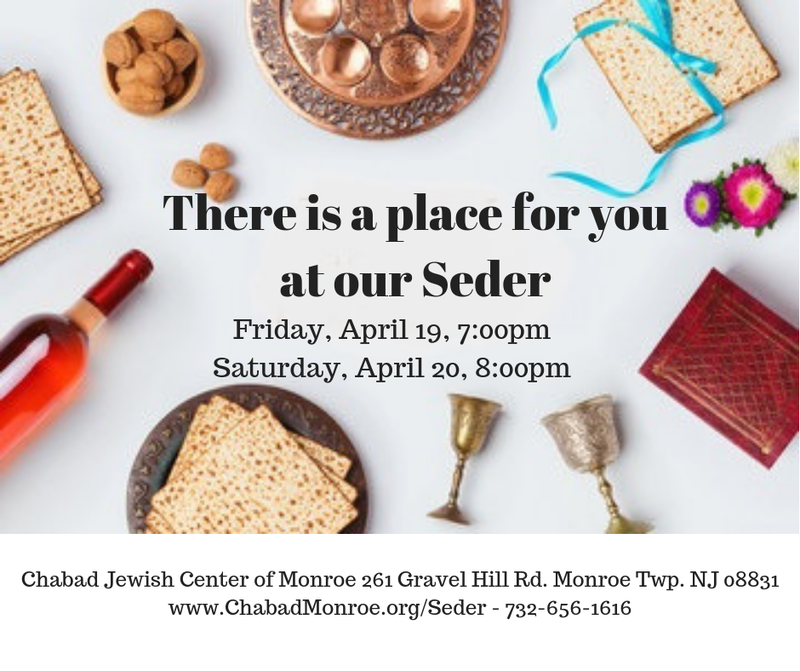 Enjoy the Holiday of Freedom with a Seder experience you will remember for a lifetime! Chabad Jewish Center 261 Gravel Hill Rd. It is customary to sell Chametz before the Passover Holiday. Click here to submit your information.